High calibre HR support without the cost of an in-house HR adviser – we provide straight-forward and flexible HR support. Specialist HR advice, training, documentation and hands-on support. We become your in-house HR team – available when you need us. We love receiving feedback from our clients…see what they have to say about HRizon. Keep updated with the latest HR legislation with our informative blog. We support you, the small business owner, to make the best out of one of your biggest investments – your people. We lead you through the ever increasing maze of employment legislation, helping you to deal with your employer responsibilities professionally and legally. 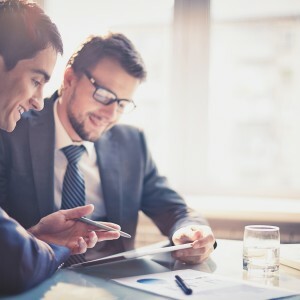 We help you to limit the financial and reputation risk to your company by providing you with complete peace of mind through a flexible service tailored to your needs. We offer you peace of mind with our long-term retainer contract. Providing you with ongoing support, helping you every step of the way by supporting you to take the necessary action whether that be on-site or by providing advice by phone or email – which ever you prefer. We understand that not everyone needs HR support on a regular basis, that’s why we can design our services around your needs. With no ongoing commitment you can utilise our professional advice on an ad-hoc basis to suit your needs. Need help with a tribunal case? Maybe a recruitment drive? Whatever the HR need we can be your HR support. Working with you to plan the level of advice and support required at a time when you need it, project by project. The specialist HR advice, training, documentation and hands-on support that HRizon provides can help you to save potential costs created by issues such as underperforming staff, long-term and intermittent absence and employment tribunals. HRizon offer a FREE initial 30 minute consultation to all potential new clients. If you need help or advice with any people-related business issue please contact HRizon today.